Here's where to watch every episode of El Chavo del Ocho season 5. Mouseover or tap an episode to see where to stream it. Click or tap the play icon to stream it on the best available service. Mantener limpia la vecindad Jan 5, 1976 The neighbors are prepared for another Feast of the Friendship and starts decorating the vecindad, remembering that "Without a piñata, there is no feast!". Don Ramón lechero Jan 12, 1976 Doña Florinda orders Don Ramón to sweep the courtyard of the vecindad. After cleaning, the kids soil again. Quico throws banana peels in the courtyard, making everyone slip. And El Chavo must deliver his empty cans to the store at the street corner. El pollo de la bruja Jan 19, 1976 Don Ramón is working as a milkman. In the same time, El Chavo and La Chilindrina found puppies that are hungry and decides to get the milk bottles from Don Ramón to give to them. Don Ramón pintor (1) Jan 26, 1976 La Chilindirna feels sick after eating an entire roasted chicken, that Doña Cleotilde had made for her dad. Don Ramón pintor (2) Feb 2, 1976 Don Ramón decides to paint the door of his house, but the kids keep disturbing him. El traje del tío Jacinto Feb 9, 1976 This is the episode where Don Ramón throws the entire can of paint on the door and says he "decided" to also paint the door. Rerecorded 1973. Unlike the majority of episodes that have to be rewritten last 2 parts by lengthening scenes, this is like the original version and the first part is completely new material. Don Ramón vende confeti Feb 16, 1976 Don Ramón inherits a suit of his deceased uncle. But he notices that the suit is too big. Don Ramón decides to use a belt to hold the pants and the confusion starts, when La Chilindrina alongside Quico and El Chavo play "hidden belt". In this episode El Chavo almost says where and with whom he lives. Los espantos Mar 1, 1976 Feast of the Good Neighbors Begins! 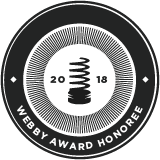 Don Ramón is the director, El Chavo recites the poem of the "Regretful Dog", Quico prepares a poem for the mothers and La Chilindrina tells a story. But everyone argues in the end. La orquesta Mar 8, 1976 Doña Florinda orders La Chilindrina to buy some medicines for Quico, that is sick. Later, Quico asks El Chavo and La Chilindrina to throw the medicines away. Don Ramón peluquero Mar 15, 1976 After watching a scary movie, El Chavo and La Chilindrina decide to scare Quico, disguising as ghosts and using masks. With this, they also scare Doña Florinda and Doña Cleotilde. This episode does not feature Ramón Valdez. Rerecorded 1973. But this version is longer. Los toreros (1) Mar 22, 1976 The kids are playing orchestra in the courtyard, with this, they bother Don Ramón. Los toreros (2) Mar 29, 1976 Don Ramón is working as barber and El Chavo as a shoe shiner. Quico and Señor Barriga go to the barber shop, and there happens many confusions. In 1979 it was recorded again one very similarly but without the part in the barbershop. Los toreros (3) Apr 5, 1976 Lost Episode. There is a strong evidence that exists a lost part of this episode, where, based in the 1973 version, the kids get a tablecloth of Don Ramón to play of Bullfighters, but he gets angry. Then, Señor Barriga promises that will get a dummy bull for the kids. Also, the "first" part that isn't lost has a weird start, with Don Ramón and Señor Barriga entering Don Ramón's house like they were in converstions in the courtyard. Los barquitos de papel Apr 12, 1976 Don Ramón and Professor Jirafales are recalling the times when they were bullfighters. Then, Señor Barriga gives a dummy bull as toy for the kids. Mantener limpia la vecindad Apr 19, 1976 The kids are playing of bullfighters. Doña Florinda gets scared with the dummy bull and, in despair, embraces Don Ramón. Because of this, Professor Jirafales believes that is being cheated and challenges Don Ramón to a fight. Examen extraordinario (2) Jun 7, 1976 El Chavo is playing that he is a pirate. Later, La Chilindrina plays with paper boats, in the fountain of the second courtyard, at the same time, Quico tries to do his homework. El señor Calvillo (1) Jun 14, 1976 El Chavo is planting eggs to grow a tree of chickens, but he soils all the courtyard. Knowing that, Quico soils all the courtyard that El Chavo and La Chilindrina had cleaned. Knowing this, the adults decides teach Quico a lesson. Pelea por el tendedero Jun 28, 1976 Even though there is an episode with the same title in 1975, these are completely different scripts. 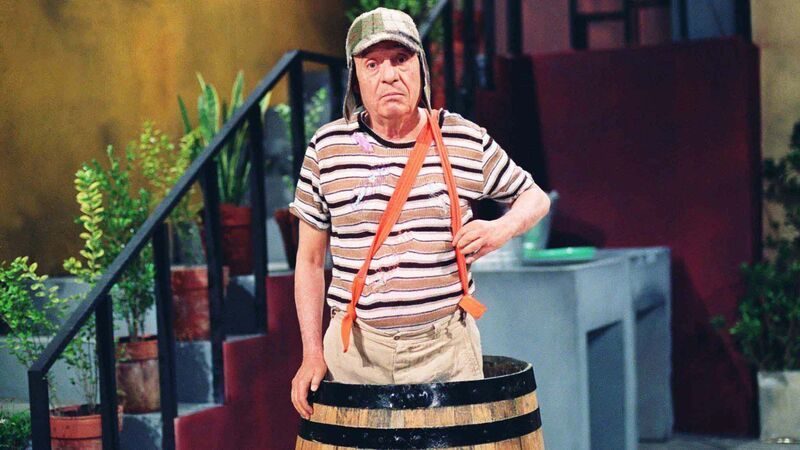 Don Ramón and Doña Florinda follow El Chavo, Quico and La Chilindrina to the school of Professor Jirafales, because they are of recuperation in the school. Fútbol americano Jul 5, 1976 Don Ramón and Doña Florinda follow El Chavo, Quico and La Chilindrina to the school of Professor Jirafales, because they are of recuperation in the school. Rerecorded in 1979 (Clase De Historia) with some changes to the script (the episode is one part and doesn't include the parents). Don Ramón vende globos Jul 12, 1976 Señor Barriga decides to sell the vecindad to Señor Calvillo . The neighbors are sad and make a union to decide what to do. Sombrero del patrón Jul 19, 1976 Continuing the story, Señor Barriga decides to live in Acapulco. In the same time, Señor Calvillo develops an interest in Doña Cleotilde. Later, Don Ramón comes with an absurd idea: he wants to buy the vecindad! El billete de lotería Jul 26, 1976 The kids are studying about the independence. Later, Don Ramón, Doña Florinda and Doña Cleotilde are battling for the clothes line. Primer día de clases Aug 2, 1976 Don Ramón is selling balloons, but the business don't go well. Later, the kids discuss about the balloons and put the blame on El Chavo. That makes him leave the vecindad. Rerecorded 1972. Being now longer, this version has the famous confetti war scene between Quico, El Chavo and La Chilindrina. Los Perez Abolengo Aug 9, 1976 El Chavo sticks gum on Don Ramón's boss' hat. Afraid of this, he tries to remove the gum with scissors, but he makes an enormous hole in the hat. 1974 re-recording, re-recorded in 1979 (in that other version instead of the gum to sticking a hat, It sticks to the bag of Mr. Barriga). Rewritten again in 1988. Pantalones de Don Ramón Aug 16, 1976 Señor Barriga and Professor Jirafales have a great idea: teach the kids how to play American football. And the coach is no other than Don Ramón! Satanás Aug 23, 1976 Quico will go to a party and must stay his clothes clean. Because of this, La Chilindrina makes a plan and alongside El Chavo, they try to throw talc in Quico. Jugando Ping Pong (1) Aug 30, 1976 Don Ramón cleans his pants and puts them on the clothes line. Doña Florinda is furious, because she's expecting a visit from Profesor Jirafales and doesn't want to see the vecindad ugly. But, Don Ramón refuses to remove the pants, and the confusion starts. Jugando Ping Pong (2) Sep 6, 1976 El Chavo sells his last lottery ticket to Don Ramón. The next day, Don Ramón sees in a newspaper that it won the prize, but he lost the ticket and he must found it. Fiesta de la Buena Vecindad (1) Sep 13, 1976 The episode shows another day in Professor Jirafales's school, where the students makes many mess and learn nothing. In the end, nobody can answer an easy question about pearls. La resortera Sep 20, 1976 Don Ramón invites El Chavo for breakfast. But, when La Chilindrina comes with the eggs for the breakfast, Quico accidentally breaks them, when they were playing ping pong. Fiesta de la Buena Vecindad (2) Sep 27, 1976 Señor Barriga is endeared with El Chavo and pays more eggs for his breakfast. Meanwhile, Ñoño brings his ping-pong table to play with the kids of the vecindad. But, after a confusion with the rotten eggs, Don Ramón is in trouble with Doña Florinda, an El Chavo ends the episode waiting to finally have his breakfast. The original version has only one part and is less emotional. Fiesta de la Buena Vecindad (3) Oct 4, 1976 Re-recorded from an episode from 1974 (with Malicha) with some changes. Then he re-recorded in 1979 and again in 1988.El Chavo walks with the slingshot killing lizards but because of a misunderstanding everyone thinks who he killed was Doña Cleotilde... and then Doña Florinda. Fiesta de la Buena Vecindad (4) Oct 11, 1976 Doña Cleotilde has lost her dog, named Satan. While searching for him, El Chavo, La Chilindrina and Quico believes that she is invoking the devil. El hombre invisible Oct 18, 1976 Don Ramón prepares the stage for the next Feast of the Good Neighbors, but he must confronts Doña Florinda that is against the feast. Ayuda a la cruz roja Nov 1, 1976 Continuing the feast, the kids makes a theater play were El Chavo acts as Chapulín Colorado. But, the confusion starts when he starts hitting Quico (which is acting as the Malefactor) with his Chipote Chillón (Squeaky Mallet). El Chavo tiene rabia Nov 8, 1976 At the end of the feast Doña Cleotilde recites a poem. Doña Florinda and Professor Jirafales sing "Óyelo, Escúchalo". Quico and La Chilindrina do magic tricks.This is the final part, there aren't 5 parts as some think.Another version of "Oyelo, Escúchalo" is presented at the end of this season in the episode "Navidad y Año Nuevo." La Posada de la vecindad (1) Nov 15, 1976 El Chavo and Quico are searching for the Invisible Man. Then, La Chilindrina says that her dad knows what is the formula of invisibility. Then, El Chavo tries to save Señor Barriga of the invisible man, throwing paint. La Posada de la vecindad (2) Nov 22, 1976 The Señor Hurtado (Ricardo de Pascual) is stealing from the neighbors. El Chavo is wrongly accused and decides to go off the vecindad. Later, La Chilindrina convinces El Chavo to return and says that he prayed much for the repentance of the thief. Hearing that, Señor Hurtado feels guilty and returns the neighbors' stuff, and even presents El Chavo with a ham sandwich. La Navidad y Año Nuevo Nov 29, 1976 El Chavo and La Chilindrina are collecting money for the Red Cross. Meanwhile, Don Ramón has the idea of faking he's crazy to not pay the rent. At the same time, El Chavo believes that Señor Barriga is crazy. Then, El Chavo and Quico try to cure them with buckets of cold water! El Perro Callejero Dec 6, 1976 El Chavo was bitten by a stray dog, now everyone is worried, believing that he has rabies. Rewritten in 1973. Re-recorded in 1980 in Chespirito and elongated to the duration of the entire program (1 hour or 44 minutes without commercials). Sin Piñata No Hay Posada (1) Dec 13, 1976 Lost episode. No information about this episode. There was an interview with the actors that probably was after the filming of this episode. The actors were interviewed with the costumes of El Chavo, Quico, Don Ramón, Doña Florinda, Professor Jirafales, Doña Cleotilde, Ñoño and La Chilindrina. Navidad y Año Nuevo Dec 27, 1976 The neighbors are celebrating Christmas and the New Year. Quico exhibits the toys that he got for Christmas and makes an enormous confusion with El Chavo, La Chilindrina and Ñoño. Later, all the cast of the series sing "La Juguetería", "Óyelo, Escúchalo" and "Un Año Más".